I was very excited to receive the sword. Opened the package and I was amazed at how gorgeous of a sword it was. I very much liked the sword and the designs and everything. It is a beautiful sword and I definitely want to get more from the collection. This sword was a big hit with my husband. You cannot see all the intricate details in the pictures. One of a kind. Kit Rae has done it again. 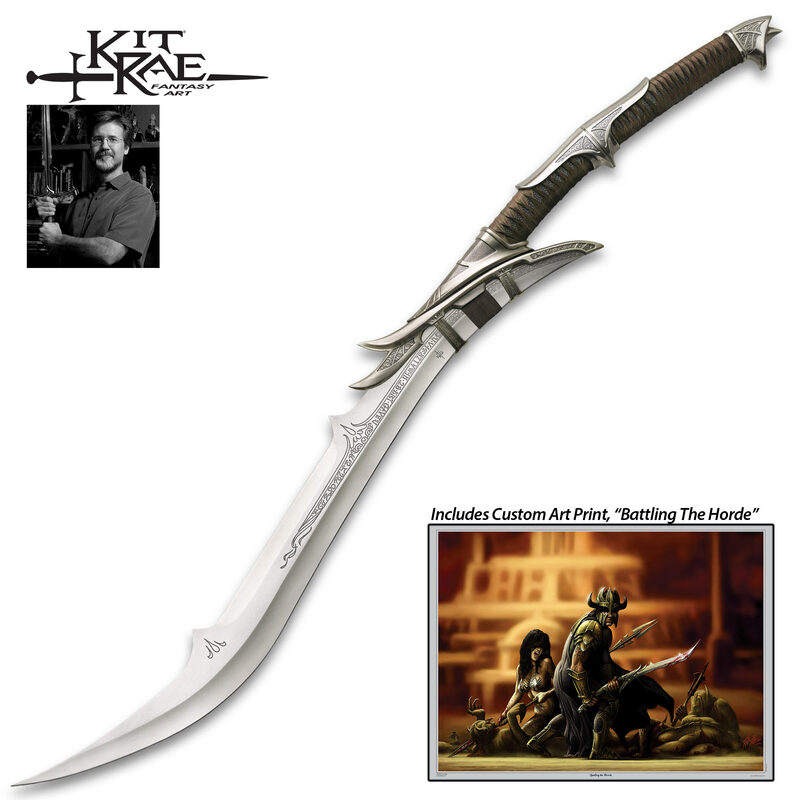 One of the best quality fantasy swords out there. A sheath would be the finishing touch. Wow. Just WOW. I just got this Sword yesterday, and from the looks of this beauty, to ACTUALLY feeling it. This one's a Keeper, if I say so myself. I just opened the box 2 min ago and and I wanted to faint for joy. For any sword collector this is a must have, I am so speechless I don't even know what else to say except GET THIS SWORD!!!!!! Excellent sword, (Kit Rae is always awesome) but even better was the customer service. They responded to a mishap due to the delivery truck and saved x-mas. Their customer service was the best I've experienced anywhere in more than a year. Kudos to the awesome people at True Swords! I would definitely recommend them! I ordered this product, it was shipped out the same day, and I received it within 2 business days! This company is beyond honest, and timely! 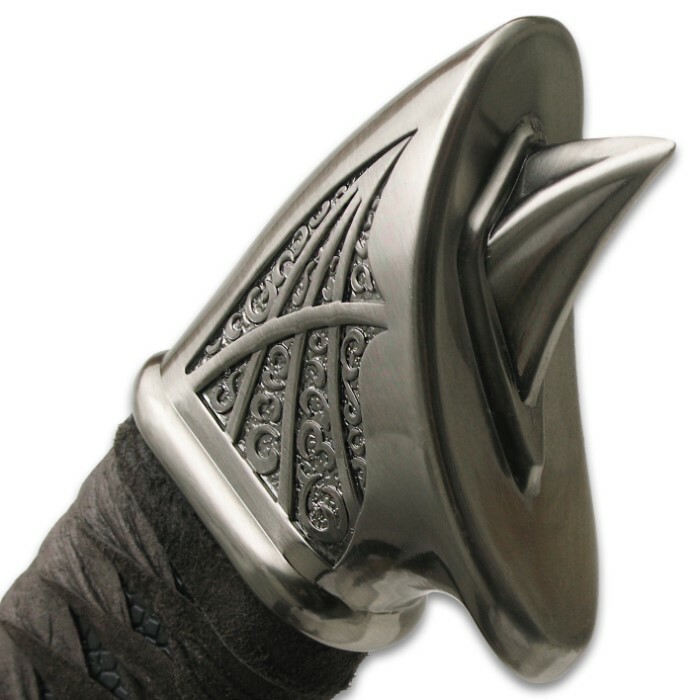 I've had serious issues when dealing with other sword dealers on the internet, but not this company! KUDOS True Swords. You not only had this item for $15 cheaper than the "other place," but you shipped it to the correct address, in a super fast manner. _3 you guys! A Kit Rae classic and possibly his best design. ...it's one my most beautiful swords, and I have quite a few....the more I look at it the more I love it....it's awsome....hope bud k starts offering the wall plaque kit rae makes for it and his other swords that need to hang horizontally..the sword is a work of art..definitely a must have!!!! Love how it handles and looks make me speechless. I'm definitely will be Checking out the rest of the collection.